Major spoilers for ‘Logan’ follow. Though both Professor X and Wolverine die in Logan, the film is set in 2029, long after the spot in the Marvel timeline occupied by Deadpool. That means Professor X could reasonably appear in an X-Men film set decades before Logan, especially since Ryan Reynolds is now attached to at least two more Deadpool films, and at least one X-Force movie. In Marvel comics, the X-Force mutants are a black ops warfare team that addresses violent threats that Professor X often has trouble dealing with. 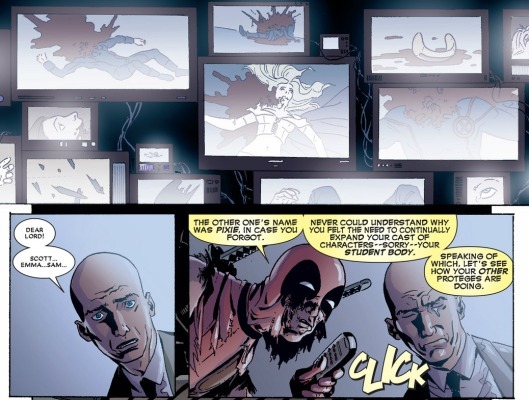 Deadpool and Professor X run-ins don't usually go well for the X-Men. Watch the full reaction from Jackman and Stewart before, and decide for yourself.